It was the type of drama befitting a major sports league. The Portland Timbers’ 2-1 title-winning victory away against Columbus Crew SC at Mapfre Stadium at the end of last season won the Timbers their first league title. The Timbers, the quintessential hipster team (think Portlandia with soccer), brought their workmanlike ethic and star players like defender Nat Borchers and Argentinian midfielder Diego Valeri to the home of the newly redesigned and newly potent Columbus Crew. The Crew’s flashy, fast-attacking play made the most of well-traveled striker Kei Kamara and attacking midfielder Ethan Finlay’s creative and finishing prowess. The match was full of the kind of desperate last minute effort, artistry and mistakes that define Super Bowls, World Series and NBA Finals. Diego Valeri’s earliest goal in MLS Cup history began a game that would leave the yellow-clad crowd of home fans heartbroken. Although the league still struggles against Mexico’s Liga MX teams in the regional CONCACAF Champions League, match attendance — and league quality — is nonetheless on the rise. Now more than ever, it’s time to jump in and see what all the excitement is about. Will the Galaxy Strike Back? Americans’ familiarity with MLS reached a new level with the arrival of former Manchester United star David Beckham in 2007, then the first of a new wave of older European stars coming to play in the United States. The team that Beckham chose — LA Galaxy — has dominated MLS ever since, with or without Beckham or MLS legend Landon Donovan. The Galaxy, however, faltered last season, less dramatically than Chelsea in England this season, but still noticeably. The team performed superbly at home at the Stubhub Center with a 12-2-3 record, but seriously struggled away, finishing the season with a 2-9-6 record on the road. While still putting up strong numbers in attack thanks to former Liverpool striker Robbie Keane, rising American star Gyasi Zardes and new addition Giovani Dos Santos, other big name stars have not shown up; the capture of Keane’s fellow Liverpool legend Steven Gerrard in midfield has not borne ample fruit. Nor will the choice by the Galaxy to offload U.S. Men’s National Team regular Omar Gonzalez from its defense provide any benefit. A number of young players like Sebastian Lletget, A.J. DeLaGarza and Robbie Rogers have a lot of potential, but the Galaxy has decided to double down with its Euro-centric veterans approach, this time from Italy, rescuing 35-year-old left-back Ashley Cole from purgatory with AS Roma and recruiting 31-year-old defensive midfielder Nigel De Jong from A.C. Milan. Whether these new additions will jive in the Galaxy’s constellation of big names remains to be seen. For coach Bruce Arena, the aim will be to return the Galaxy to its usual status as the premier team of MLS, especially with the rise of the Cascadian part of the Western Conference upsetting the list of usual suspects in the playoffs. The Galaxy opens its season hosting D.C. United on Sunday. New York City FC and Orlando City SC: Sophomore success after first-year slump? Last season saw the introduction of two new teams with great amounts of energy, but different tales to tell coming into the new season. New York City Football Club (NYCFC), an expansion project of both MLS and Manchester City FC’s Etihad Airways sponsors, began a bit as Galaxy-lite, with major stars including David Villa, Frank Lampard and Andrea Pirlo sharing the field with young MLS journeymen like Kwadwo Poku and Patrick Mullins. Jason Kreis, respected as a shrewd coach from his success at Real Salt Lake, departed his position as coach at Yankee Stadium after not impressing the team’s owners, finishing 17th out of 20 in the league despite all the resources at his disposal. The most notable change has been Manchester City replacing Kreis with its youth development coach, Arsenal legend Patrick Vieira. City and Etihad Airways will look for Vieira to lead NYCFC to the playoffs, especially having lost despairingly all three Hudson River derbies last season against local rivals New York Red Bulls. NYCFC opens its season away against Chicago Fire. The other team to debut last season, Orlando City SC, has its own legend, 33-year-old Ballon D’Or winner and former Brazil national team star Kaká. Its true star last season, however, was 20-year-old Canadian striker Cyle Larin, who scored 17 goals and won the MLS Rookie of the Year Award. Orlando’s fans are some of the most passionate in the league, supporting the team since its days in the lower North American Soccer League. The Lions will be hoping that Larin can avoid a sophomore slump while Kaká continues to show his class. Should those two get a good run going, together with another Italian arrival, 30 year-old midfielder Antonio Nocerino from Fiorentina FC, and up-and-comers Darwin Cerén and Cristian Higuita, Orlando may be one of the most dynamic teams to watch this season. Despite only finishing one place above NYCFC in the Eastern Conference, Orlando lacked the same scope of expectation and can now focus on becoming a force to be reckoned with. Orlando welcomes Real Salt Lake for its first game of the season at Orlando Citrus Bowl Stadium. Amidst all the growing excitement, and the many other narratives at play — can Toronto FC finally perform? Can the New England Revolution finally win a title? Will Jordan Morris be the new Landon Donovan? 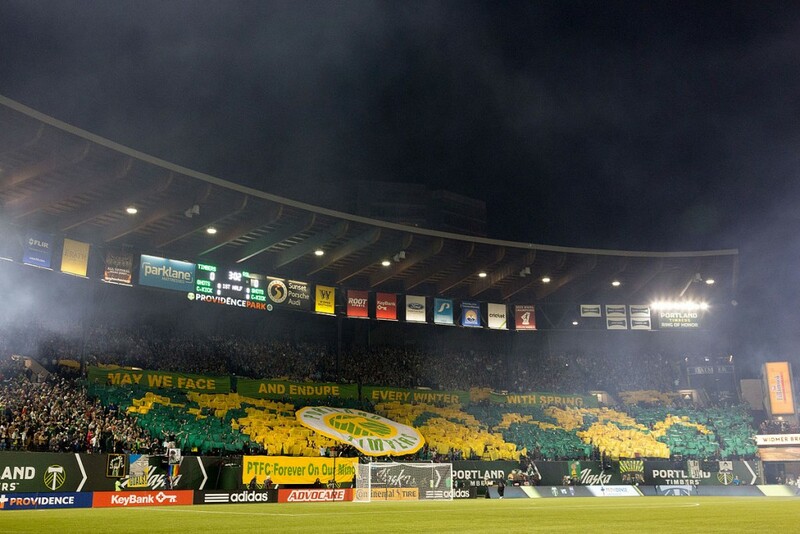 The league resumes with the Timbers welcoming the Crew to the Rose City. Columbus will be out for vengeance, to prove it has what it takes this year to win the Supporters Shield. All 20 teams this season have their hopes up, and starting with Timbers vs. Crew this Sunday at 4:30 on ESPN, all the excitement begins again.